H 16" x W 15"
H 9.125" x W 11.125"
Beloosesky Gallery is interested in purchasing original paintings by David Burliuk. 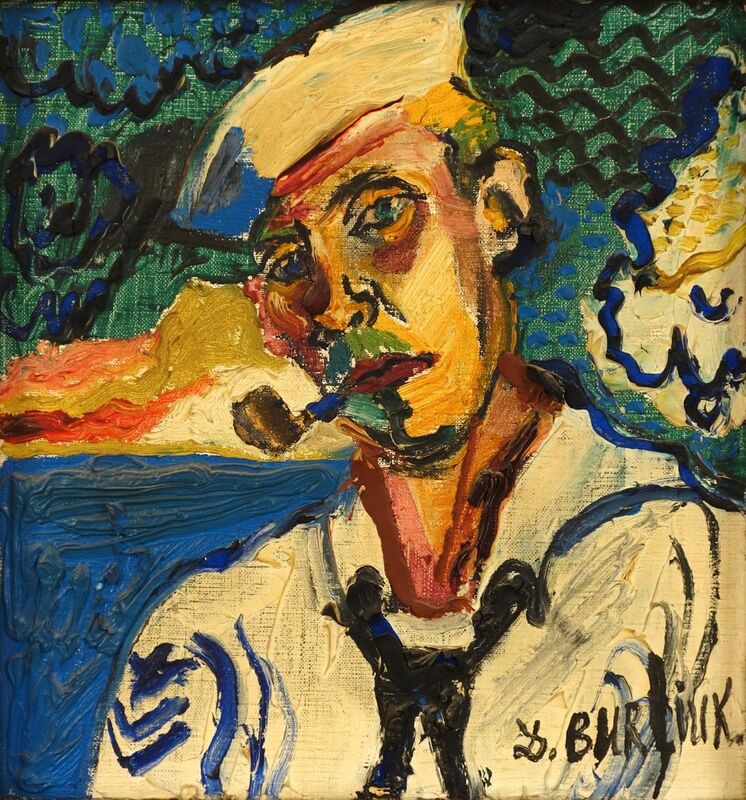 David Burliuk was a central figure in the history of the Russian avant-garde* movement as an accomplished poet, art critic, and exhibition organizer. "He was one of the world's first hippies, and painted the words 'I Burliuk' on his forehead and stood on street corners reciting poetry." He was born into a privileged class of Russian society. His wife was educated with the Czar's children, and he was well positioned to become an artistic leader. 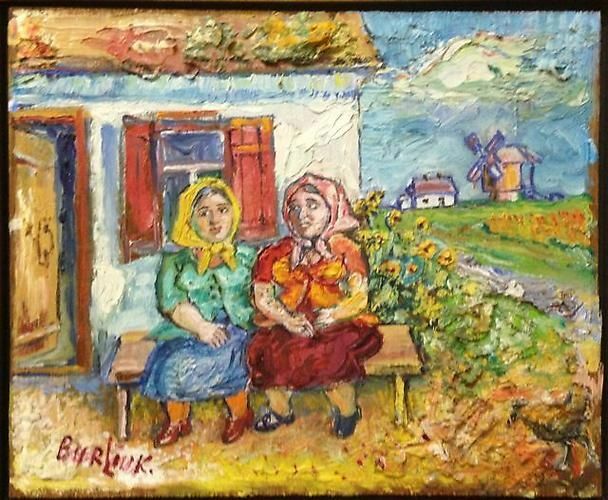 Burliuk studied at the Kazan School of Fine Arts in 1898, and then studied in Odessa, Moscow, Munich, and in Paris at the Ecole des Beaux Arts*. His early works were fauve-like, "violent in color and heavy with paint" and were exhibited with the Blue Riders in Munich. In Russia, as a breaker of artistic tradition, he was expelled in 1911 from the Moscow Institute. With other futurists*, he undertook a public campaign with lectures, journals and films--all focused on the craziness of modern, industrial life. With the advent of World War I, he left Russia and traveled for four years including to Siberia, Japan, and the South Seas. To start all over again, he moved to America in 1922 and settled on Long Island where he continued to paint until his death there in 1967. His subjects range from neo-primitive paintings to peasant life in Russia to futurist depictions of South Sea fishermen. Much of his painting in Russia vanished in the Russian Revolution. Throughout his life, Burliuk was innovative, energetic and upbeat. In the United States, he developed his "radio style", a style that involved symbolism*, neo-primitivism, and expressionism*. "But Burliuk's early work in pre-revolutionary experimental art was his most creative." 1937 The Philips Collection, Washington, D.C.